PRESS RELEASE – Digicel today announced the signing of Trinidadian producer, song writer and soca legend, Machel Montano, in a ground-breaking partnership that will include the broadcast and development of content featuring Machel as he represents Digicel as a regional brand ambassador. For many years Machel has been the star attraction at and emanating from Trinidad and Tobago’s carnival which has been referred to as one of the greatest shows on earth as it features massive bands, outrageous costumes, pulsating music and non-stop dancing. 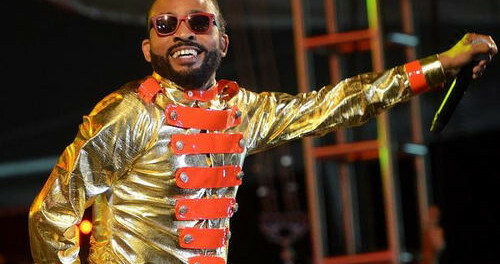 This year, Machel will headline various shows including Army Fete and Fantasy Saturdays with the kickoff being his own Machel Monday show featuring Pit Bull, Lil John, Taurus Riley and Omi. Through the partnership with Digicel, The Machel Monday show will be made available on Pay Per View and accessible at http://live.ceen.tv/MachelMonday. The three-year partnership means Digicel customers can enjoy multimedia experiences across multiple platforms and devices. And, as the carnival season kicks off, customers will be treated with sneak peeks and early releases of Machel’s new songs and videos – as well as behind the scenes interviews and looks as he takes his music to the people of the Caribbean. Subscribers on Digicel Play will be in for a treat as there will be multiple telecasts of content featuring Machel over the years.